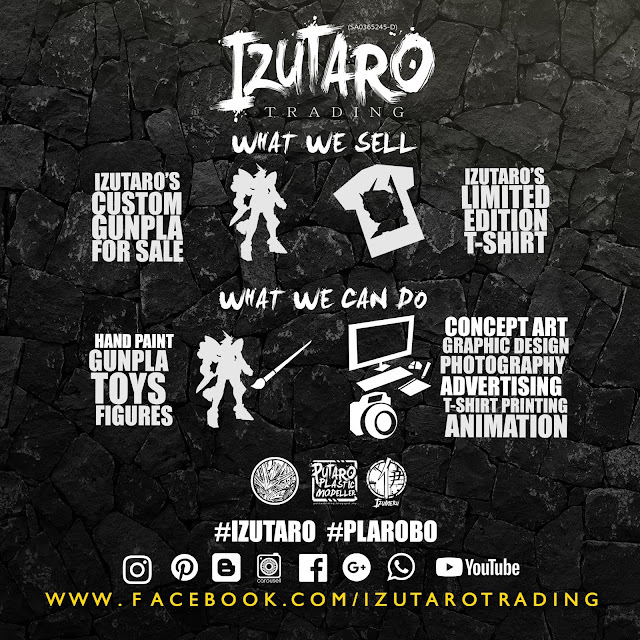 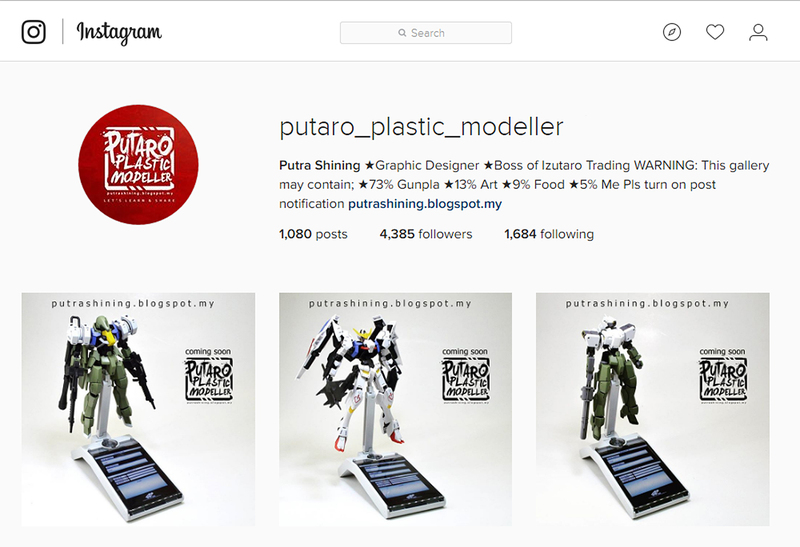 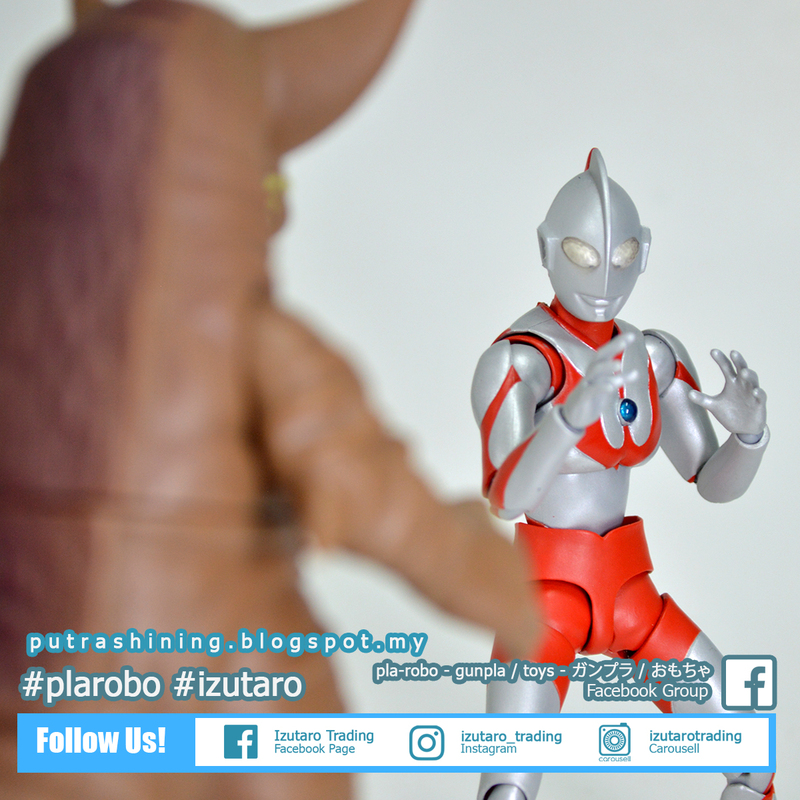 Hi and welcome to Putaro Plastic Modeller where all the newbie and professional work publish here. 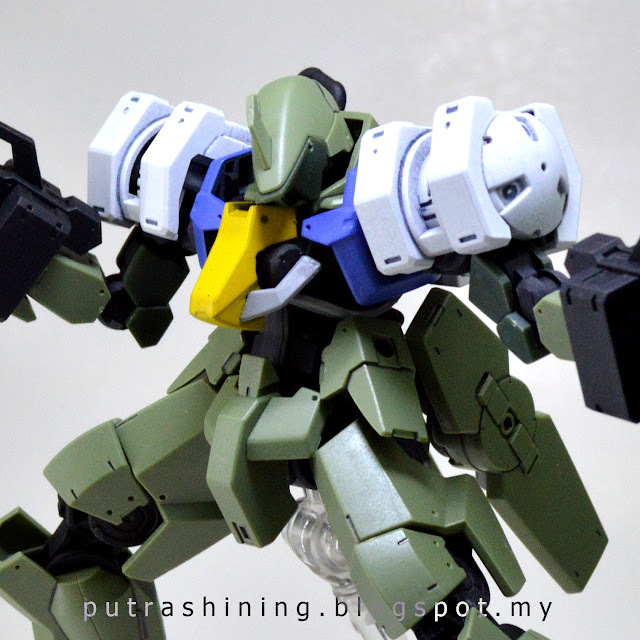 I present to you HGIBO 1/144 Graze Full Armor Custom. 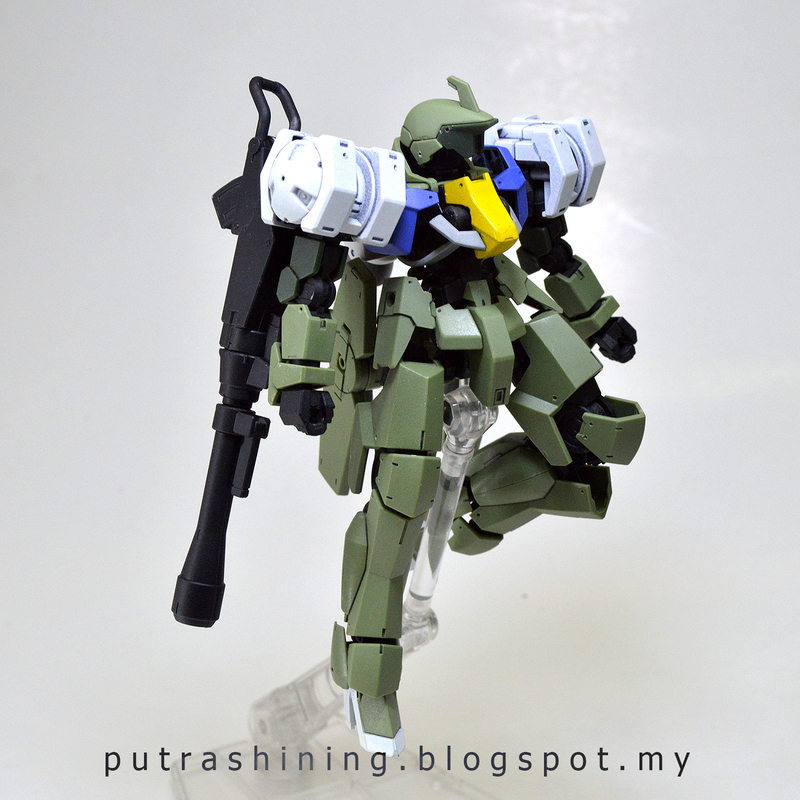 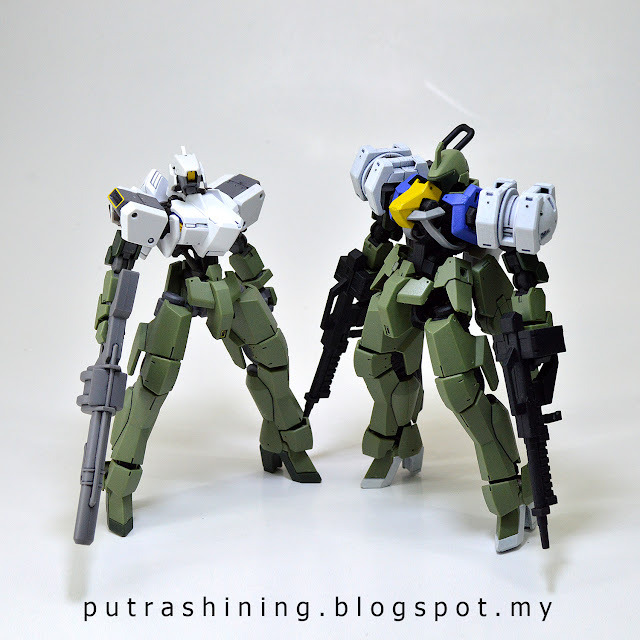 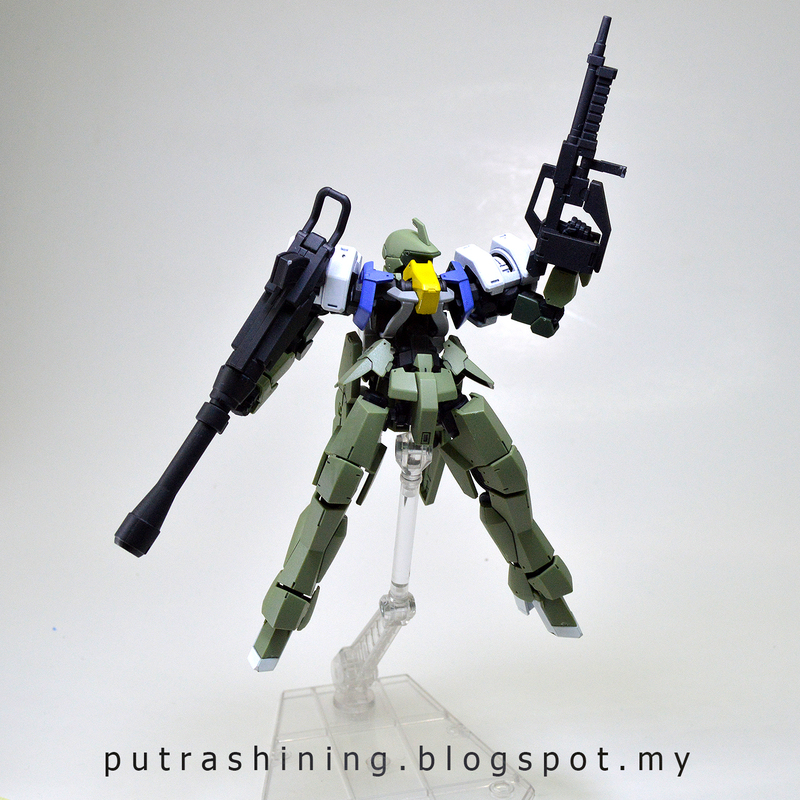 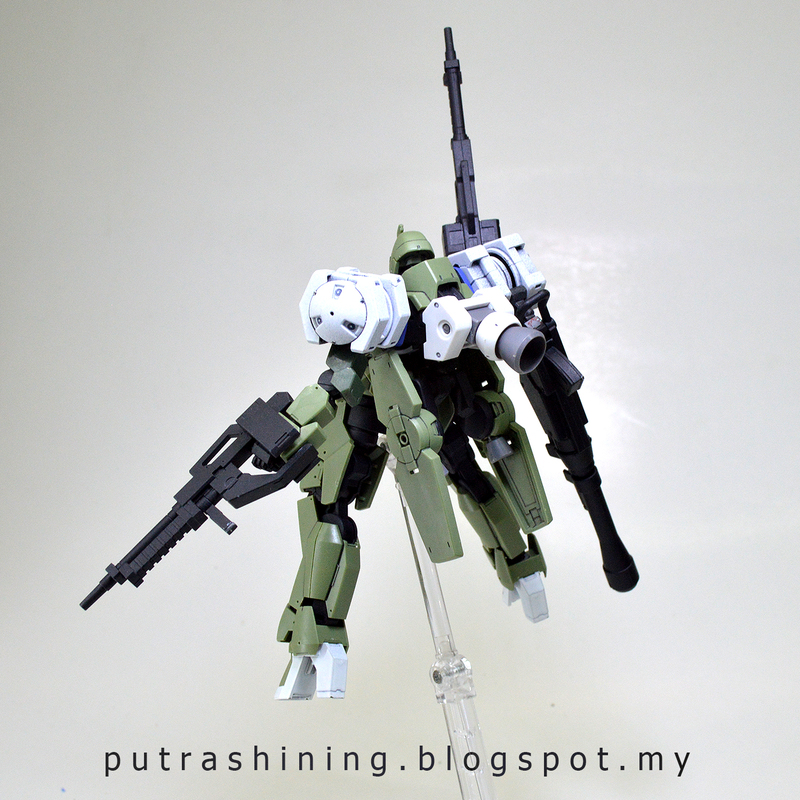 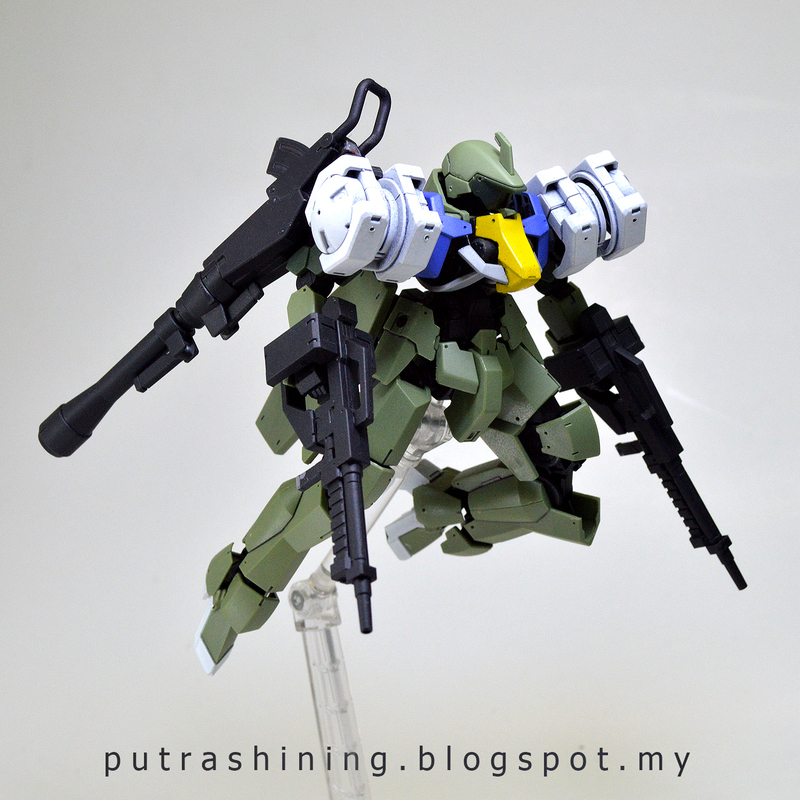 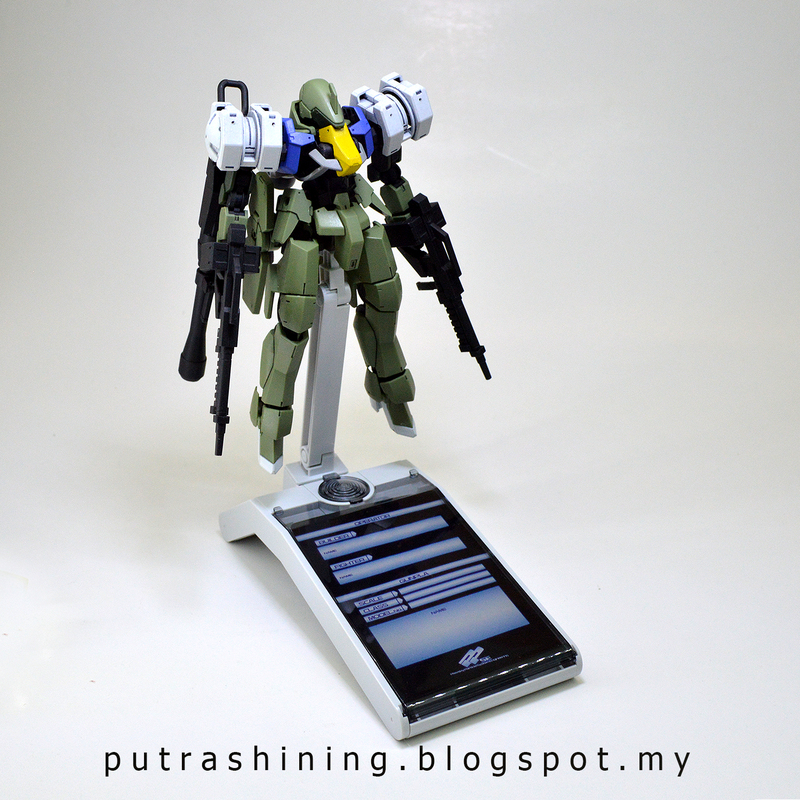 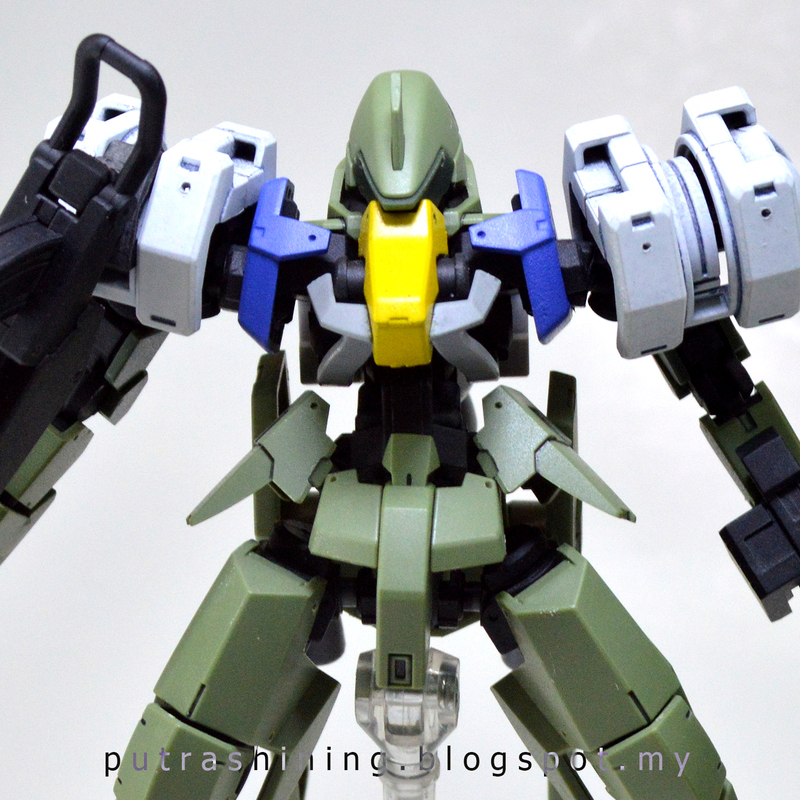 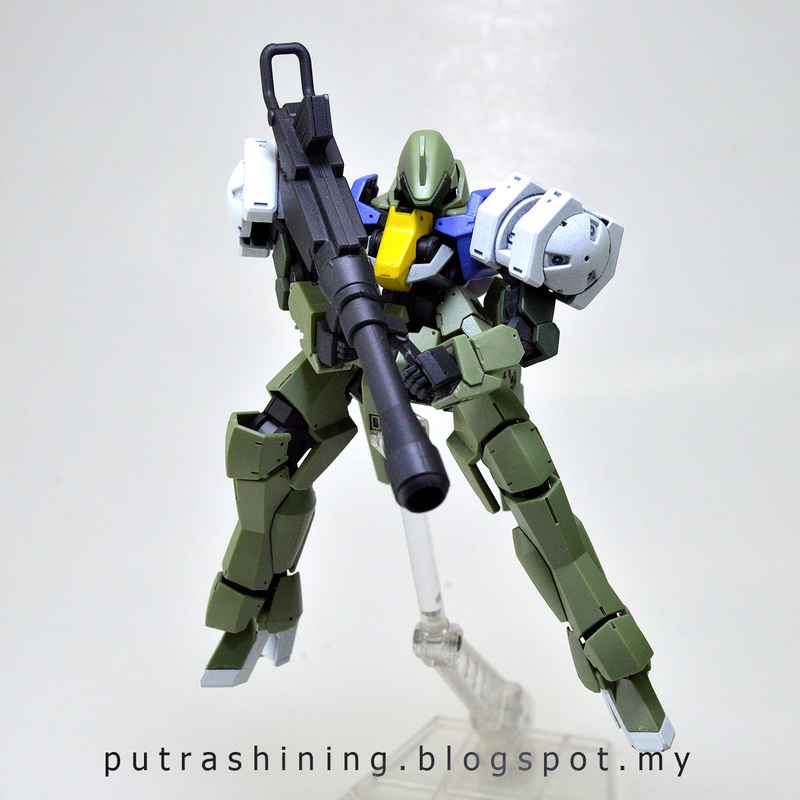 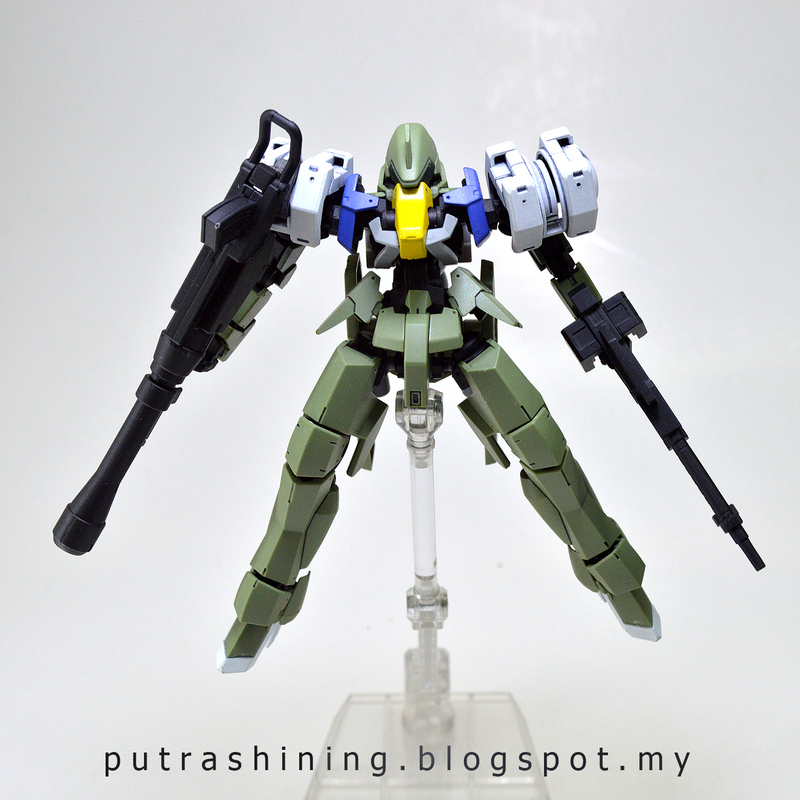 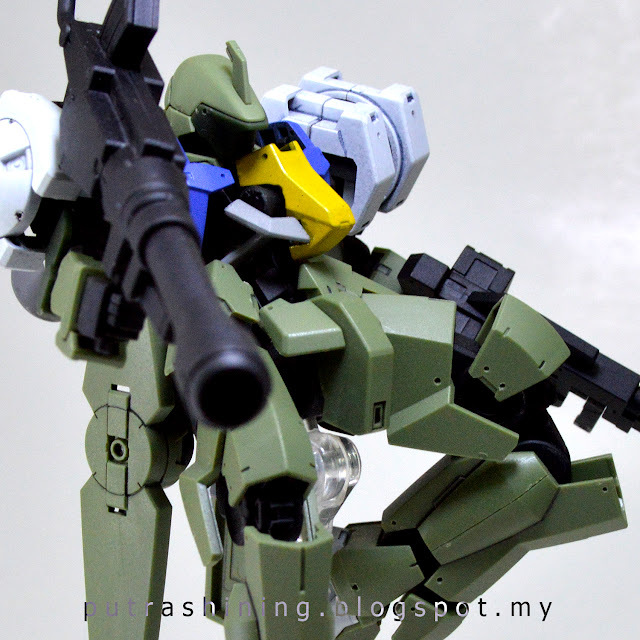 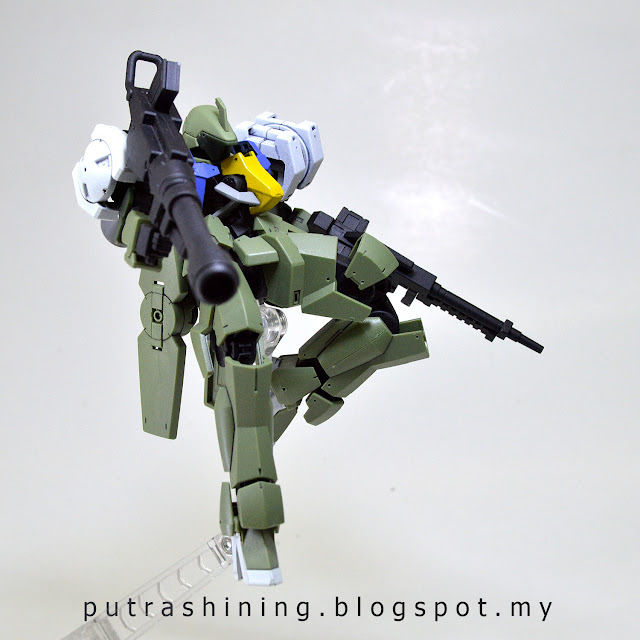 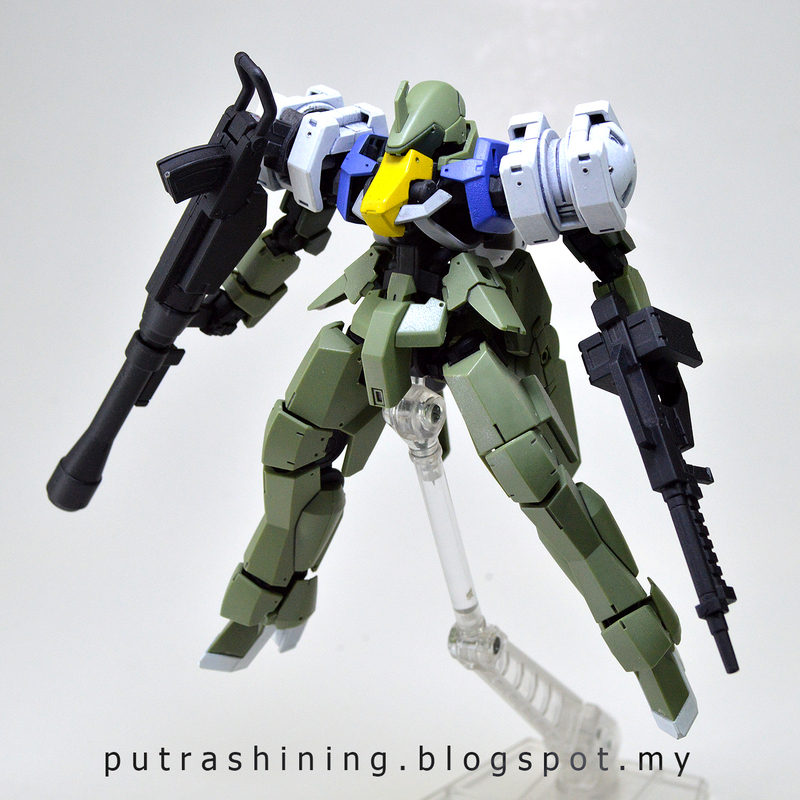 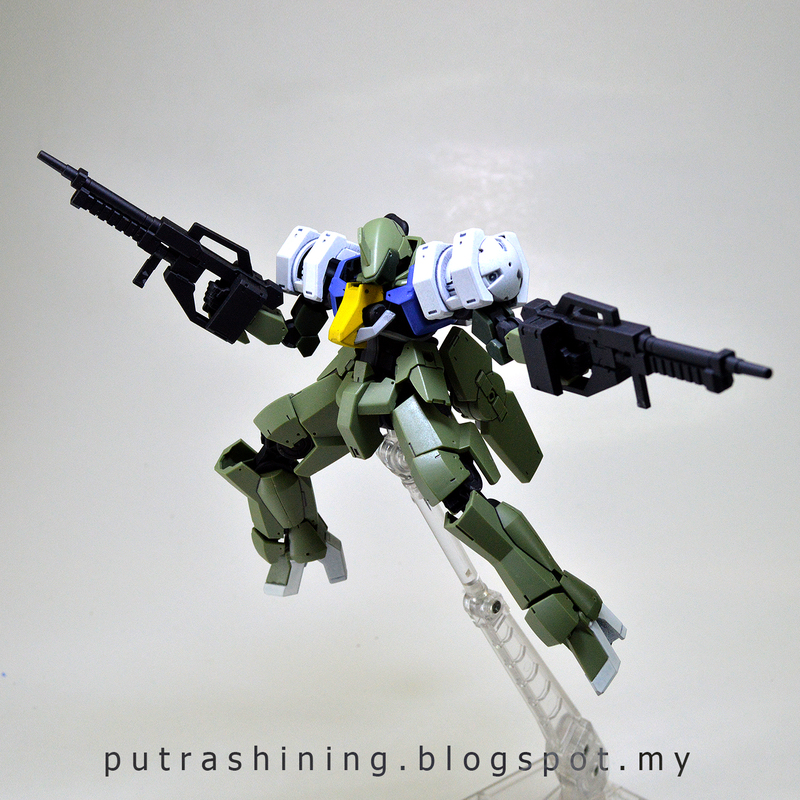 From left parts that I build for my Gundam Model Kit Contest 2016 Malaysia, I build this kit. I surprised that this kit look this good for me. 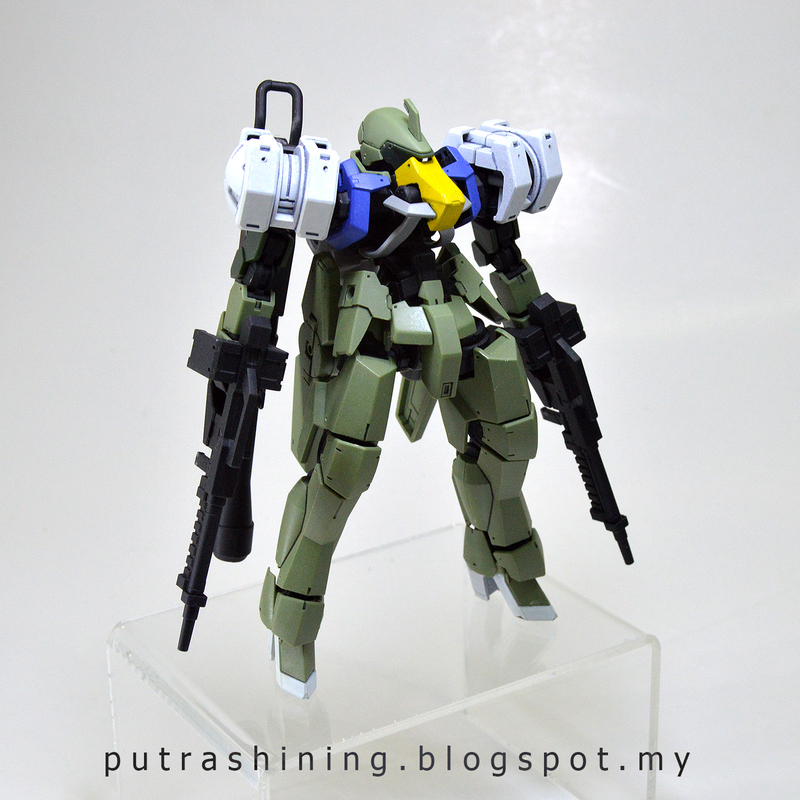 I didn't put much effort building this kit, so you can see it's straight build, a bit drilling, panel lining, a bit spray paint and top coat it with cheap spray Clear Matt to make it looks complete. 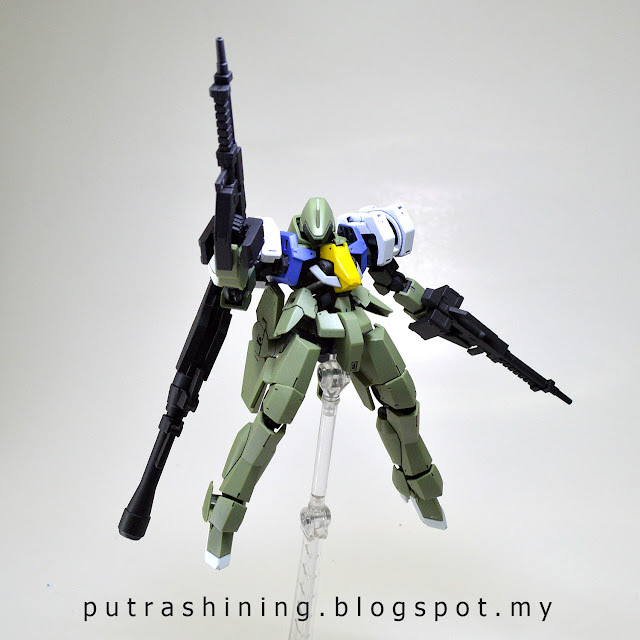 I hope you guys like it and maybe can help you guys to gain some ideas. 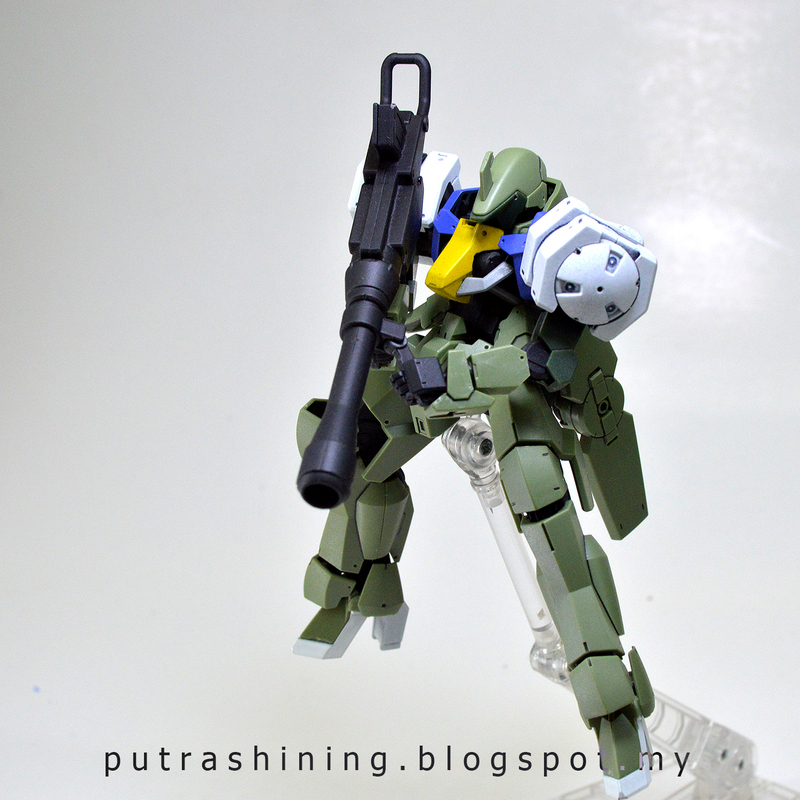 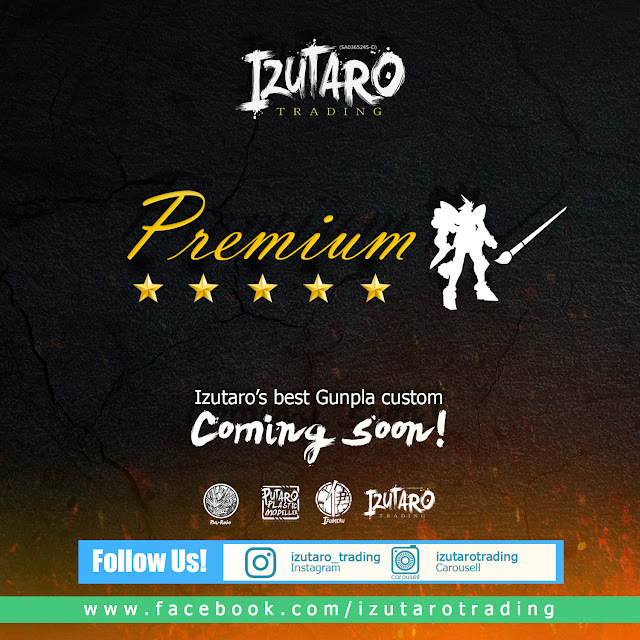 Check out for my other Graze Kai Custom and Imperial Taromon (Babrbatos 6th Form). 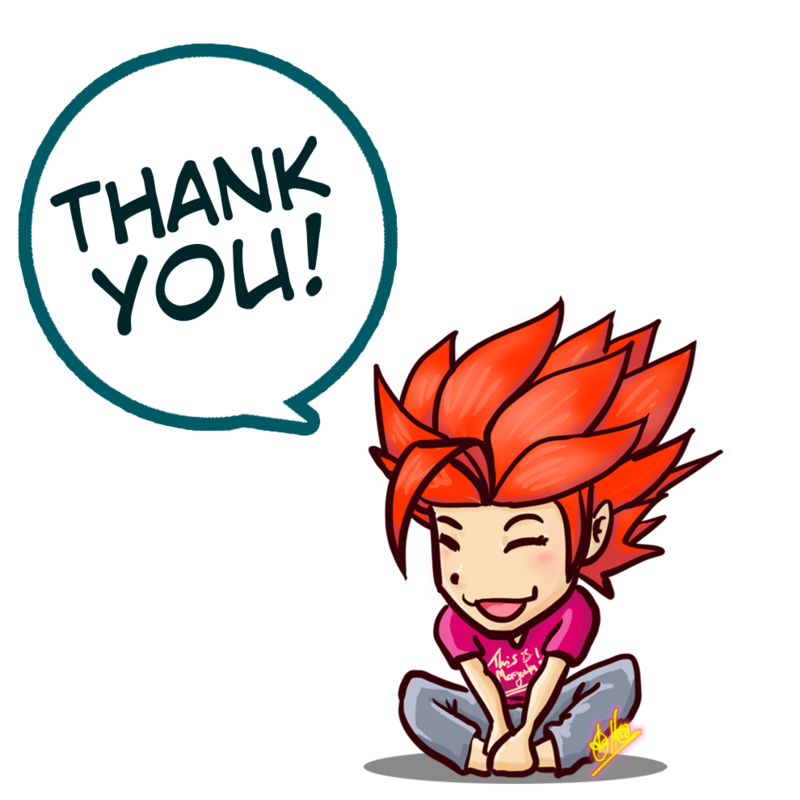 Thank you for supporting this blog until today. Main Custom Tool(s): Samurai Spray Paint; Clear Matt (top coat), Flat Black, Flat Blue, Flat Yellow, Flat White.